Copyright © 2018 IEBC. All Rights Reserved. In Volume 8 Issue 2 of Variance Journal (link here) a technique using actuarial present value was applied to infrastructure service contracts to manage obsolescence in cross-industry portfolios of fixed, physical, capital assets using the law of large numbers (the insurance principle). The theory put forth in that paper was purely deductive and used financial mathematics to posit some untested hypotheses. In contrast, a later paper also published by the Casualty Actuarial Society titled “Reserving for Infrastructure Service Contracts” (link here) documented a simulation experiment using machine learning to computationally demonstrate the idea that culling and replacement in portfolios of obsolescing infrastructure assets is critical to maximizing the recovery of significant efficiencies expressible as shareholder value. That second paper simultaneously created an objective definition of obsolescence and described a robust stochastic reserving method using industrywide data for long term infrastructure service contracts that provide asset replacement coverage in the contingent event of obsolescence. Furthermore, the cited papers describe the foundation of a new-to-the-world infrastructure insurance product that balances future capital versus operating costs of infrastructure, and that can be brought into existence using the CoEngineers.io blockchain. The theory described in the cited papers deals with processes inseparably tied to the obsolescence of the ordered investments of material, time, and energy that we call physical assets. These are exogenous processes, such as advancing technology, changing energy costs, changing costs of capital, increasing cost of labor, or the emergence of government incentives to adopt new technology that act in the aggregate over time to render some types of infrastructure capital obsolete. Although mechanical wear on physical assets is an important endogenous influence on asset mortality, we are speaking equally of socio-economic processes that drive obsolescence, and therefore the role of actuarial science cannot be abrogated. The implementation of this theory on CoEngineers.io results in a game similar to bidding that can optimize future lifecycle costs of aging infrastructure. If implement on a widespread scale, this game could recover trillions of dollars annually in wasted resources, such as energy, labor and materials. Once there is confidence in the game to do what it promises, the token becomes a stake in future energy and resource recoveries. It would have intrinsic worth connected to these future recoveries and forward-looking fundamentals for valuation based on open data analytics provided by the CoEngineers blockchain. Physical assets in the sectors of transportation, power, water supply, healthcare, and communications make up the infrastructure that allows society to thrive. Machines, vehicles, buildings, and structures are manufactured at great expense, then run as they age at an ever increasing cost relative to advancing replacement technology. Eventually the economic advantages of a newer machine become so cogent that they inevitably force a replacement decision even under the most austere budget management. Is there a best time that we are missing to take this action? Resources to manufacture and operate physical assets are scarce, yet represent the vast proportion of all materials and energy consumed by society. The optimization theory tested in this paper suggests that potentially significant creation and destruction of wealth are at stake in the critical timing of infrastructure replacement, and that lifecycle costs of aging infrastructure can be minimized if obsolescence is handled as an insurable event. Obsolescence can be thought of as a state or as a temporal transition to a state of an asset when it should be replaced. In this state, the asset can often still be in good working order, yet obsolete. In industry, obsolescence can occur because a like replacement becomes available that is economically superior in some way. A replacement asset may have comparative advantages to the existing asset, such as superior energy usage or comparatively reduced losses due to increasingly frequent unplanned failures of the old asset. Obsolescence may be due to the availability of more advanced technology, changing energy costs, lost tax shelter from expired depreciation, the physically aging condition of the asset itself, or, more likely, the sum of all of these factors working together. What is important in defining the state of obsolescence is the existence of a transition from a state of non-obsolescence, and the fact that this transition may occur at a localized point in time. A major assumption of this theory is that there exist aggregate processes of obsolescence that may differ greatly among different classes of assets, but remain relatively stationary over time. Processes of obsolescence, such as those manifested by Moore’s Law for computing hardware, or by the U.S. Department of Transportation’s data on vehicle longevity, are evidence of stable forces of mortality on physical assets. 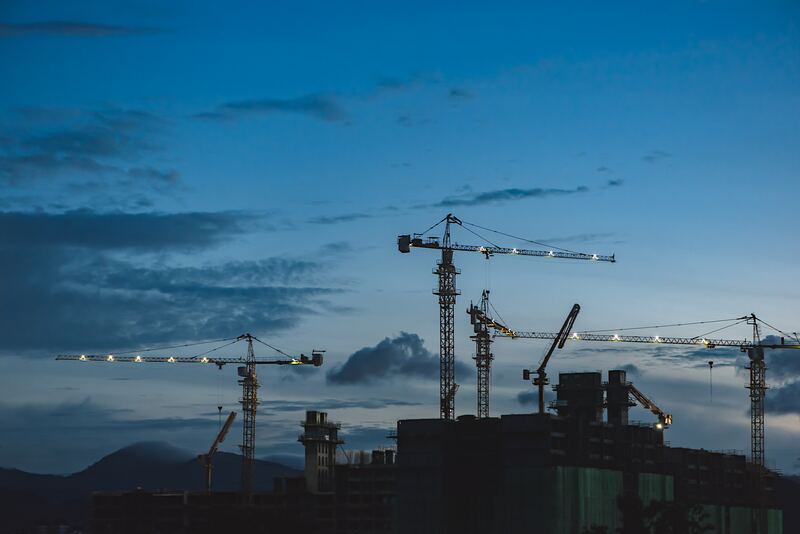 Contracts which contain provisions requiring the replacement of aging physical assets over long periods of time were first referred to as infrastructure service contracts (ISCs) in Volume 8 Issue 2 of Variance Journal. In practice, such contracts require the service provider to replace a physical asset, such as underground piping, a machine or a vehicle, when its life is deemed to have expired. Such contract provisions exist only in a very small percentage of infrastructure services, usually as a part of an alternative delivery method such as a design, build, operate (DBO) contract, where a contractor is responsible not only for design and construction of infrastructure, but also its long term operation for several decades. ISCs also exist in military utilities privatization where whole bases may be turned over to a private contractor for management of utilities, such as water, power, sewage, and steam systems for up to fifty-year terms. A good part of the discussion in the cited papers centers on the absence (in industry) of an objective definition of when this expiration of life occurs in a physical asset. Machines have no vital signs that would make such a determination easy, and any machine can always be repaired or refurbished ad nauseam to the point of immortality. The ISC today exists in a vacuum of theoretical understanding about objective criteria that constitute the end of life of a physical asset, or why the timing if this replacement should matter. Although ISCs are relatively obscure, we can show that if they are modified with a definition of obsolescence based on the portfolio theory of that paper, the humble ISC would transform into a powerful tool for optimizing lifecycle costs and creating wealth in the form of prospectively valued operating costs savings. Furthermore, underwriting ISCs as insurance could provide added benefits in the form of tax deductions and reinsurance. The subject theory is ontological in that it provides a fundamental explanation of why a phenomenon, the periodic replacement of physical assets, occurs in the first place. A fundamental investigation into this phenomenon uncovers and lays bare the structure of its underlying causes. We will find in this investigation that the phenomenon itself invokes the ontic existence of opportunity costs M(t) which drive it, and that only these opportunity costs, treated statistically, can ground the familiar phenomenon of asset mortality, much of which we already think we understand through pseudo conceptions, which only seem to have been demonstrated. Since we already know that physical assets exhibit mortality with certain characteristics, we then we invent the underlying concept of M(t), a time dependent function equal to the rising, calendar year opportunity costs of not substituting an old asset with a new replacement asset, to explain the observed features of this mortality. M(t) captures anything that creates an opportunity cost in an existing physical asset through the existence of a substitute asset, such as energy savings, lower staffing needs, lower maintenance costs associated with new assets, and all other quantifiable calendar year costs of time, energy, and materials needed above and beyond those of owning the newest, latest, like asset. Such costs, by definition, begin at zero when the asset is new. These costs then generally increase as the asset ages. These costs are an abstraction (a model), and are not usually recorded, but they can be tracked in real time if we wish to do so. We ask the reader to take a leap of faith in accepting that such costs exist, so we can proceed to arguments illustrating their hypothetical utility. In some cases, these costs may indeed be comprised mostly of unscheduled repair costs, such as the ever-increasing cost of maintaining line breaks in a length of underground pipeline. In such a case, M(t) quantification is more of an accounting exercise than one involving an engineering evaluation of competing replacement technologies. In other cases, the analysis may be much more complex and involve costs that are not as easy to objectively quantify, such as energy savings of newer replacement technology. Even the expected value of a catastrophic loss is, in theory, a constituent of M(t). The chance of some mechanical failure causing loss of life, property, or revenues, such as in the case of a communications satellite, or a mission critical component of a manufacturing process, has been studied in other fields through the analysis of endogenous, mechanical aging processes of the machine itself. Great advances in reliability have been made through this kind of analysis, and have even given a stochastic explanation of machine mortality. Yet these traditional theories of machine component failure do not begin to explain why some assets, such as certain pumps or bridges, never need to be replaced, or why some fleet assets with a fluid resale market have a better chance of continued survival if they are very old rather than newer assets in the same fleet. These latter phenomena beg for a better understanding of why managers must choose between keeping an existing asset and replacing it with an expensive new one. By condensing all opportunity costs that could possibly motivate a manager to make an expensive replacement into a single, measurable quantity called M(t), we are using an aggregate approach to obsolescence risk management, much like combining all possible causes of mortality into a life table or including the whole field of causes of liability claims into an incurred loss triangle to aggregate all effects into one quantitative bulk measurement. It is like measuring the force of a fluid on a surface area to measure pressure instead of having to calculate the trajectory and momentum of every molecule in a volume to achieve the same. In our analysis M(t) is the rising needle on the gauge of obsolescence. Knowing the point on the gauge’s scale when action must be taken, and whether this matters, are questions that are explored in the cited papers, and that can be answered by applying actuarial science to engineering data. Engineers will have a unique role in quantifying M(t) opportunity costs associated with aging infrastructure assets. The subject of the cited papers pushes the boundaries of what is considered actuarial science, particularly if one’s definition of it is limited only to activities associated with existing insurance products. Nevertheless, the papers deal with populations of mortality risks and a new-to-the-world insurance application. So, it is no wonder that the vocabulary of actuarial science is then the most adept at defining obsolescence and exposing never-before-seen optimization relationships at the portfolio level. Only actuaries possess the specific training to reveal this kind of phenomenon. The processes that drive obsolescence of infrastructure assets are primarily socio-economic, not physical. Without actuarial science, balancing the costly activities of manufacturing and operation in the face of the uncertain future forces of advancing technology, changing energy and labor costs, and even regulation, is often pragmatically dealt with through simple deferral of the replacement decision, which leads to the systematic destruction of resources, wealth, and an enormous opportunity for their recovery. By defining this problem in the context of insurance, the actuary’s full talent could be brought to bear on what would essentially become a ratemaking and reserving exercise to assure the appropriate portfolio treatment of pooled, homogeneously grouped physical assets treated as mortality risks. Underwriting, reinsurance, and other industry resources could further assure the most efficient allocation of capital, and simultaneously provide a cheaper and less volatile risk-financing delivery method for the replacement of aging infrastructure. It is incumbent on actuaries to use their special knowledge of risk outside of the strict context of existing insurance practices, and this is the whole point of enterprise risk management. The basic actuarial education provides an ample toolkit that, if applied fundamentally in other industries, might result in new stem areas of practice where property and casualty actuaries could provide new insights to old problems outside of insurance that currently lack theoretical foundation. Actuaries often want a simpler model involving fewer variables instead of a black box predictor involving them all. Volume 8 Issue 2 of Variance Journal required estimating an error term β that may not be as trivial as it was described. The model also involved considerable judgment that was not transparent, and possibly inaccurate. That paper also emphasized the use of empirical asset mortality data. Such data, essentially the distributions of ages of assets at mortality, were meant to create life tables for homogeneous groups of assets susceptible to similar forces of mortality, and to be used as input to an algorithm that would determine the appropriate threshold of M(t) to cull and replace an asset. Unfortunatly, asset mortality data is not readily available, and there are usually no accurate records of physical asset longevity. Also, the algorithm was iterative and required a calibration period that would not allow immediate projection of costs. For these reasons, the experiment and reserving method described the cited simulation experiment emphasized the use of empirical M(t) data provided by engineering analysis instead of asset mortality data, and attempts to eliminate actuarial judgment entirely. The blockchain provides a moving background upon which a time function M(t) may be cast. Although M(t) data is typically not recorded, it can be analyzed using existing engineering data and economic analysis of replacement technologies. It is cross-sectional in time, and therefore does not require historical records which were never established in the first place. We can also work with relatively sparse amounts of M(t) data to completely characterize an asset class. CoEngineers delivers 2 token types, Mass and Gravity corresponding to quantity and quality of the claimed asset. In this draft proposal, a smart ISC would be written for each physical asset to create an immutable asset registry. Each contract and asset has its own hash identifier, and currency would be securely transferred to or received from a contract by digital wallet. Funds would be earmarked for the specific asset corresponding to the contract. Payout of an obsolescence benefit is released through adjudication performed by a distributed panel of technical experts who compete for Mass Tokens and Gravity Tokens and are incentivized through an arrangement of game rules to produce quality opinions. This system would assure that funds are not comingled with those from other asset owners or even other assets. It would be a self-insurance model using blockchain automation for third party administration. A panel of prequalified adjudicators would normally specify the release of funds to replace an aging asset. The rules for adjudication would be resistant to attack. Defensive mechanisms against attack can include the randomization of adjudicator so that an owner or contractor would not be able determine which adjudicator is selected making them unable to corrupt or deliver retribution against an unfavorable expenditure. The adjudicators may also work in a double-blind format to not be able to identify or communicate with each other to act collectively in a way that circumvents the intent of the smart contract architecture. Other methods such as a byzantine fault tolerant strategy may be employed where two or more adjudicators vote on an observation and then vote on the vote. If the second vote is not unanimous, a null condition is triggered by smart contract until the discrepancy may be determined. As an example of adjudication for the release of funds: An asset owner makes a replacement claim in the case of an aging asset; an odd number of panelists is randomly selected from a prequalified pool of engineering experts; a vote is taken for the release of funds once the technical claim information is disclosed; only experts in the majority would earn a fixed amount of Quant commensurate with the work performed. Another governance model example would involve the calculation of opportunity costs M(t) associated with an asset replacement decision. A panel of experts would be randomly selected. The engineer panelist who calculates the value closest to the median of the collected panel values would win a fixed amount of Quant (the engineer’s purse) while the outliers would be rejected. This creates a negative incentive for an adjudicator to act incompetently or be encumbered by conflict of interest. A final example of fund governance involves actuarial involvement in determining the correct amount of premium to store in the contract, as well as determining the benchmark threshold value of asset opportunity costs for asset replacement. The actuary panelist who calculates the value closest to the mean of the collected panel values would win a fixed amount of Quant (the actuary’s purse). The ability to create an autonomous decision optimization engine is novel and unique to this proposal. The above examples are proof-of-work analogs to token mining, incentivize accurate technical opinions by a quorum of decentralized experts, and demonstrate how the asset owner could benefit from prepaid technical expertise on repair and replacement decisions. Adjudication occurs on one physical asset at a time. Comprehensive information, such as photographs, videos, equipment specifications, power or fuel consumption, and maintenance history can be associated with the smart contract and uploaded to CoEngineers.io just prior to the owner’s call for adjudication. In this way, adjudicators can be truly distributed and are not geographically constrained to the asset. CoEngineers.io will result in an accumulating body of open data that is self-generating simply through the routine governance actions taken by the adjudicators. This valuable data would form the basis of an actuarial life cycle analysis on physical assets that would span multiple industries. Such data would normally be proprietary to a surplus lines insurance company. CoEngineers.io may make this data available without restriction, and would create the statistical foundation to treat physical assets in the context of insurance, bringing the industry’s full actuarial talent to bear on what would essentially become a ratemaking and reserving exercise to assure the appropriate portfolio treatment of pooled, homogeneously grouped physical assets treated as mortality and morbidity risks.